Give a child a smartphone or tablet and, before long, they’ll be on YouTube watching Peppa Pig videos. However, YouTube isn’t particularly safe for children. So, if you’ve got a bored child in need of entertaining, here are the best YouTube alternatives for kids you can install on your Android or iOS device. Rather than letting your children waste their time watching cartoons, you could encourage them to learn instead with the Jellies app. It’s available for iOS, but you can also find it on the Amazon App Store for Android devices. Jellies deals with problematic videos by hand-picking each video it shows to kids. The team behind Jellies have human moderators to protect your children from anything harmful. If you’d rather have more control yourself, you can create playlists yourself to limit what your child can watch. 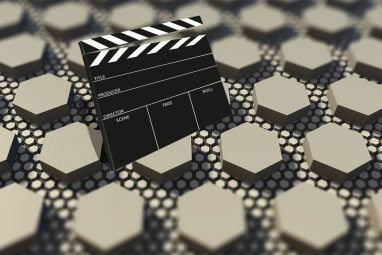 Videos are grouped by age range or by topic. You get a 30-day trial to try out Jellies for yourself. After that, Jellies will set you back $4.99/month. The popular Nick Jr. children’s entertainment channel has its own app (also called Nick Jr.) for kids who want to watch shows like Paw Patrol safely. The app is completely free and available for both iOS and Android devices. The app isn’t just filled with video content, however. You’ve also got child-friendly games and music for kids to enjoy. The content is all based around the Nick Jr. shows, so there’s nothing harmful to kids here. Some TV shows require you to have a TV subscription to Nick Jr. before you can watch them, but most of the content in the app is free to watch or play. The unusually-named kiddZtube is another app that wants to make it safe for younger kids to enjoy video content. It’s aimed at younger, preschool kids. The videos it shows are all chosen from YouTube. The team behind the app are teachers who pick the videos, check their safety, and add some extra content. Chosen videos get quizzes, additional instructions, or some extra teaching included. Because educators are involved in choosing the content, it’s definitely an app to help your children learn. It’s not just for learning, though, as there are also cartoons, music, and stories for your child to enjoy too. You get 14 days to try kiddZtube, with monthly subscriptions costing $3.99/month thereafter. Another strong YouTube alternative app for kids is Kidoodle.TV, a subscription-based video streaming service. Videos are moderated, according to the app, by “parents like you”. When you open up the app, you get to choose the age range of videos you want to see, from zero to 12 years, or you can select “all ages” to see the full range. You don’t need an account, but signing up gives you access to parental controls. You’ll be able to monitor usage, disable specific videos, and set usage limits for a quicker bedtime. Videos on the service are mixed—some are educational, while some are just for entertainment and fun. Kidoodle.TV is free to use, but you can disable ads with a premium subscription. You also get 100 GB of storage for family video storage, as well as access to some additional videos. The optional subscription costs $4.99/month, or $49.99/year. One of the best alternatives for YouTube is… YouTube Kids. 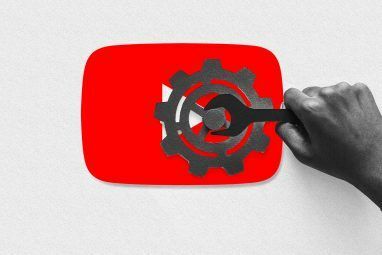 If you can’t wean your children off their YouTube addiction, it’s better to limit what they can see. The YouTube Kids app, for Android and iOS, helps you to do that, and it’s completely free to use. It restricts YouTube access to stop children from looking at videos that are unsafe. It’s unclear how YouTube chooses its content, but it appears to be down to a mix of human reviewers and algorithms. Installing YouTube Kids doesn’t mean your kids are completely safe, however. There have been some reports that inappropriate videos and ads still pop up in the app from time to time. 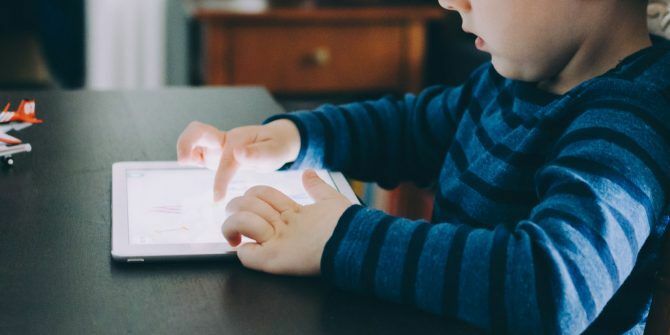 Given the sheer number of videos available on the platform, this isn’t too surprising, but it does mean you should continue to monitor your child’s usage if they’re using this app. For extra peace of mind, you can disable video search and set usage timers, and block specific videos or YouTube channels from being shown. Before you hand a smartphone to your child, here’s how to set an Android device up for kids How to Set Up an Android Phone or Tablet for Kids: 6 Best Settings for Children How to Set Up an Android Phone or Tablet for Kids: 6 Best Settings for Children If your children have an Android phone or tablet, you need to know how to set up those Android parental controls. Read More . This will help you lock down access to other apps, including the main YouTube app. If you’ve got a Netflix subscription, there’s a whole bunch of video content available for kids. The Netflix app includes a section for kids, with TV shows and movies targeting children of all ages. As it’s part of the main Netflix app, you need to take a look at Netflix’s parental controls first. These enable you to stop your child from straying into the adult section by adding a PIN and restricting certain content. You can also tailor different profiles to different age groups. 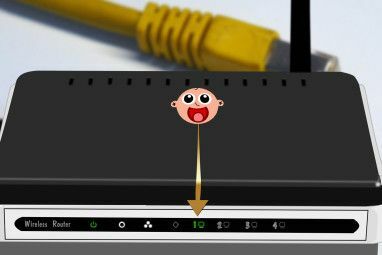 The parental controls are just one way to make Netflix better by changing a few settings How to Make Netflix Better by Changing a Few Settings How to Make Netflix Better by Changing a Few Settings Whether you are brand new to Netflix or have been using it for several years, there are a few settings you can change to make Netflix even better. Read More . All you need to do is create a new Netflix profile and select “For Children” in the settings for that profile in the app. You can also set more specific maturity levels on the Netflix website, where content can be restricted to either toddlers or older children. The Netflix app also lets you download video content to watch on the go, so it’s a great app to keep kids occupied while you’re away from home. Apps like YouTube Kids exist because Google knows it cannot ignore the dangers of online video content. It provides safer videos for children, but parents and educators should still be wary. The YouTube alternatives for kids on this list are all solid options, but as some source videos from YouTube itself, you should test any app you install first to make sure you’re happy with it. Whatever app you decide to use, it’s important to teach your children the basics of internet safety to make sure they understand the dangers. With that in mind, here are the internet safety games your kids should play 6 Internet Safety Games To Help Kids Become Cyber Smart 6 Internet Safety Games To Help Kids Become Cyber Smart It's important to educate children about online safety: content, scams, and the people who inhabit it. What better way to do that then through games? Here are six of the best. Read More . Explore more about: Online Video, Parenting and Technology, YouTube.